There is a long tradition of hat wearing for special occasions in Africa. And in Mozambique, one talented woman entrepreneur is taking this art form to a whole new design level, and building a wonderful niche business too. 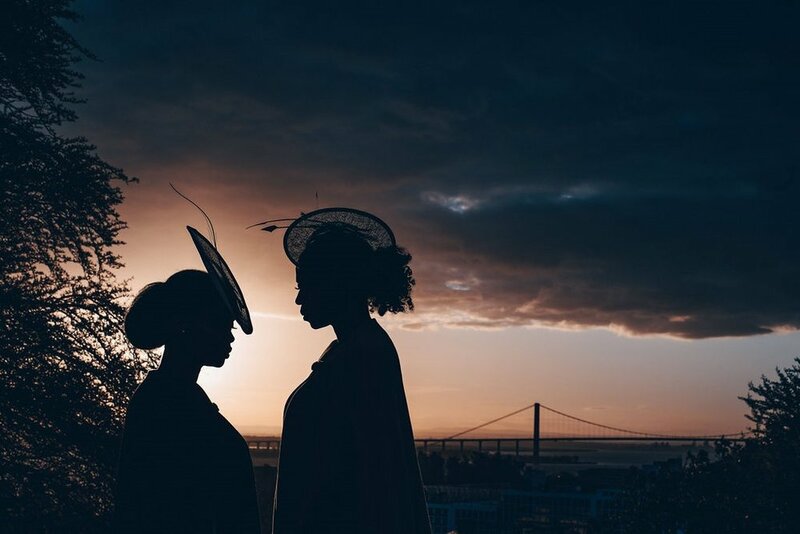 Epifania Stella Ernesto Gove, founder of Pifa Gove Millinery, is turning heads and winning fans with her extraordinarily beautiful millinery creations, all proudly made in Mozambique. 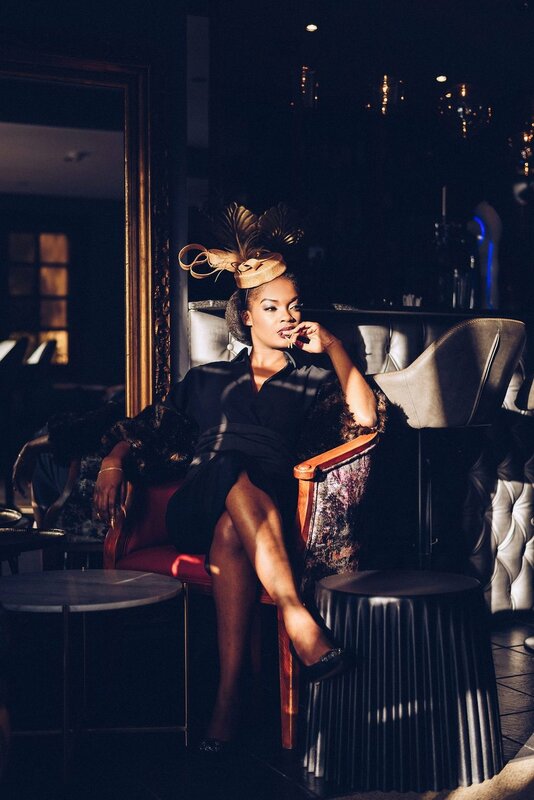 LoA chatted to Epifania this month to find out more about her wonderful millinery business and brand. 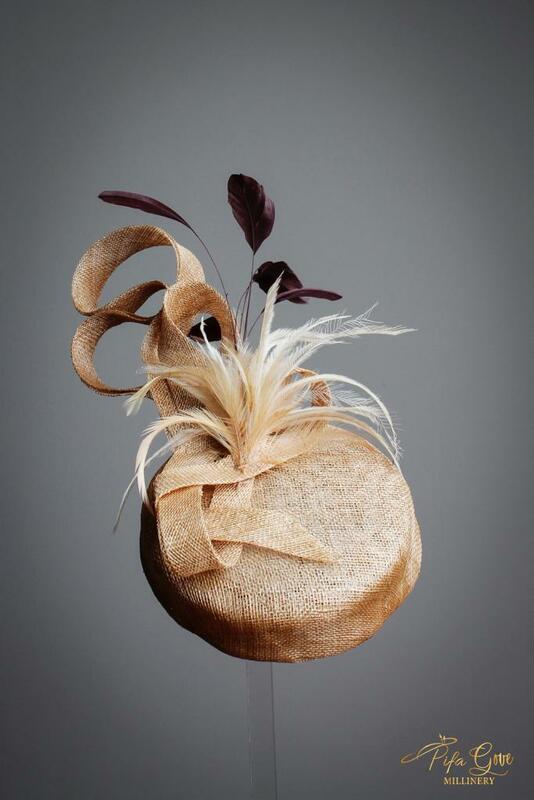 My company, Pifa Gove Millinery, specializes in handmade modern millinery. We offer a bespoke service and also a ready to wear collection. We are also a personal image consultancy. The glamour and class that a well crafted, beautiful, hand-made hat can bestow on a woman was my focus. Initially, it started with my personal passion for hats, which became almost an obsession in my desire to acquire them. I would bring back from my travels the knowledge of a new city, the cuisine of the places I visited, and...where possible… a hat. I realized unintentionally that I was a hat collector, but they weren't just hats, they had to have history, soul, culture and colour - lots of colour, even the darker colours had to overwhelm me with emotions. So I went from the passion of collecting to a love of making. 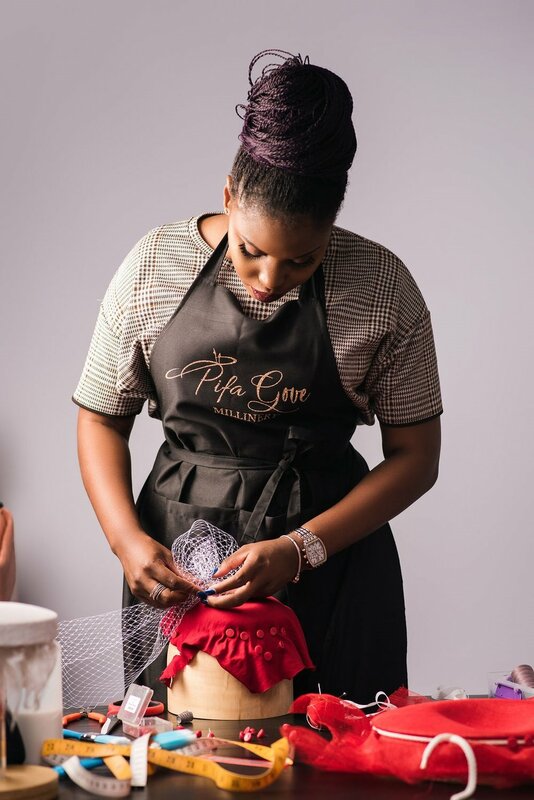 I decided if I were to pursue this passion I had to learn from the best, so I attended private tuitions from top established milliners and when I felt confident enough I started my own young business. I didn't look anywhere else for inspiration but within me; I didn't embark on this journey because it was a cool thing to do, I did it as a response to a long dormant dream, a dream I had held since I was knee high. My work is about putting love into a piece. 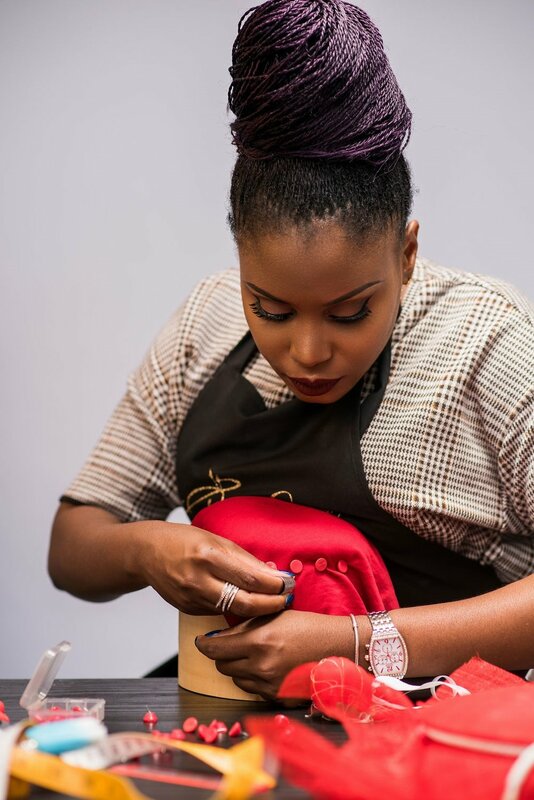 My hats should be worn by women who appreciate the passion I try to transmit through this art of hat making.Therefore, I wish my pieces to be the cherry on top of the look of a classy and elegant woman. I like to believe that my millinery creations are unique in the sense that there aren’t two that are the same - they are each made to suit my clients’ personality, above all they are exquisite. At the moment I am working by myself. But as the business grows I will definitely be needing extra hands. However, I am in no rush - as I said, this is about passion and I can't be having someone who is just in it for the money. I do not come from an entrepreneurial background as such. During my childhood, like any child, I enjoyed drawing and crafting and hats were my favourite things to sketch. I would nag my mother to buy me broad brimmed hats made of straw material and would wear it them different ways, as if I knew instinctively that you always have to wear them at an angle. At the age of 14 my parents sent me to a boarding school in England and as you know hats are a big part of the British culture so I was thrilled. However, at university level I didn't want to disappoint my parents by going to an Art school so I convinced myself "you are not good at drawing anyway" so I studied law instead. Over the years, my passion for hats grew and not pursuing it professionally left me with a sense of emptiness and with the feeling that something was missing. After I completed my degree I returned to Mozambique and started working. A few years later I decided it was time to do a Masters degree and so I headed to Australia. Attending events like the Melbourne cup, Spring Racing Carnival, etc, with all the glamour and elegance that such occasions demand, I made my mind up and decided I had to make hats. So I enrolled in a small group course with a very reputable milliner. My first hat I made for my mother, then one for my sister, and another one for myself. I posted on social media and people would ask me to make them, however I didn't feel confident enough to take on commissions so I would always make up excuses. A couple of years later I still felt that emptiness and one day talking to my brother he said, "what about that millinery dream of yours? Maybe that’s what is missing..." I thought to myself, he is definitely right, I booked my ticket to Scotland and enrolled in a one-on-one course, with someone that I never dreamt I would even meet, let alone learn from. I came back to Mozambique and voila, I registered my brand and opened my business. It has been 7 months since that time, and ever since I started this business there isn't one weekend that I have not got an order from a customer. The future only god knows...but I wish to reach a larger market - I would love to have my hats worn by a larger group of women who appreciate the work of a milliner. I would like to bring a different touch to the world of millinery and for that I know I will have to continue to take classes and exchange experiences with the icons of the industry, only by doing so can I elevate myself and my brand. Being the first Mozambican milliner gives me satisfaction - it is like leading a particular movement, dictating standards. Having my clients feel the most gorgeous in the world is very satisfying, having them say, "you know if it weren't for the hat I would be just another guest" …it's all about confidence and I think I can give them that. We were all born with a purpose, you have to believe, enough to make you pursue your dream, enough to make you take that leap of faith. Don't expect anyone to have it figured out for you, remember it’s your dream not theirs, so only you can put direction to it. Ask yourself if someone else had your dream and your ideas, would you buy them? If the answer is yes, then what are you waiting for to start living your dream?